Is it the right time for a hidden disability symbol? Since that article, Brydges’ Hidden Disability Facebook page has hit 5.2K likes. She’s getting attention from organizations, individuals and media from all over North America and the U.K. But a really big moment was receiving a photo of someone from the U.S. using one of her cards. Brydges stresses that making hidden disabilities visible is a safety issue. She lists incidents where not understanding hidden disability can have deadly results. There was a child with autism in the U.S., she says, who was shot by the police. In Ottawa, there was a child in school who has handcuffed because of misunderstanding a hidden disability. In Winnipeg, there was a veteran with PTSD who was physically kicked out of a bar because he had a therapy dog. Brydges finds these stories and posts them on her Facebook page, collecting articles which prove her point, time and time again. Like many brain injury survivors, Brydges faces significant obstacles in her daily life, most of which are hidden. She has problems concentrating and has a low tolerance for noise or bright lights. She cannot drive or use public transit. Being in a large crowd for more than a short time can cause her to become, what she refers to as, cognitively overwhelmed, sometimes to the point of tears. Especially in the years right after her accident, Brydges says she couldn’t trust herself to be able to respond to an unexpected situation. For example, if someone on the street was having an emergency, she would have difficulty in processing information, to, for example, call 911. A frustrated first aid responder trying to enlist her help, repeating the message to her faster and louder to her would only make it worse. Which is why, using nothing more than an interest in desktop publishing and sheer determination, Brydges designed a symbol consisting of a blue and white figure inside a circle with the words Hidden Disability on wallet-sized cards. 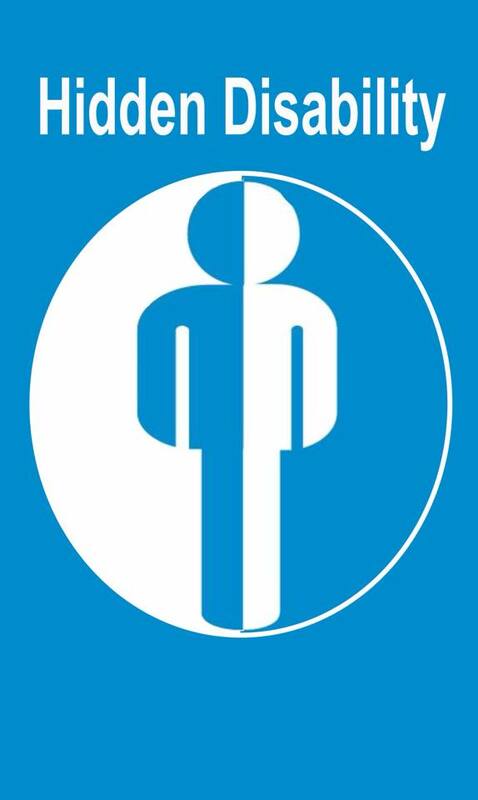 Similar to the international symbol of accessibility for those with physical disabilities, the card is something Brydges feels could be used by those affected by hidden disabilities such as brain injury, autism or epilepsy. She calls it ‘a self-advocacy tool’ people with hidden disabilities can use to educate the public on the obstacles they face every day. Brydges began working on her hidden disability symbol in 2009. 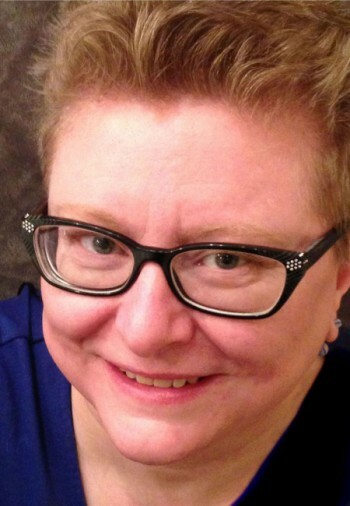 A year later, through Facebook, she found 592 adults to participate in an online survey about whether there was a need for a hidden disability symbol. The result: 80 per cent of the participants (the majority of whom had a hidden disability) agreed an international symbol was needed. A few years later, Brydges asked for feedback on how to develop the symbol, which originally was a checked figure. She changed that design after learning some people had difficulty processing it. The hidden disability symbol could be her design or someone else’s, Brydges is all about the cause, and willing to let word about the symbol spread organically. She’s made the symbol available for download, with some stipulations, and is working on improving its print quality. The front of the cards can have the name of the condition on the bottom and the back can be customized to meet specific needs of each condition. Brydges also believes organizations which serve people with hidden disabilities have to work together. “We’re stuck in this model of ‘I have this condition’ and ‘you have that condition’ instead of ‘when we’re out, these are the common problems with environments that aren’t highly conducive to our functioning,” she said. Inspired? Brydges thinks Hidden Disability awareness would spread even further if she could get on The Ellen Degeneres Show. You can help make that happen by filling out this online form here.